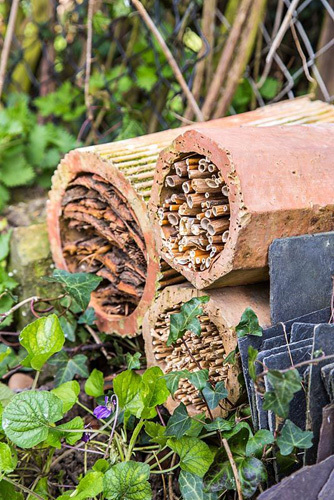 Creating insect houses from terracotta drainage pipes and bark. A step by step guide for creating a natural habitat for insects. These can be placed in borders or hung from trees and make a decorative and beneficial addition to any garden, large or small. This entry was posted in Garden craft on August 29, 2016 by gapadmin. 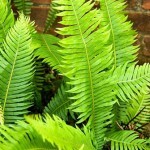 Crawford Hardy Ferns is a plant nursery started by Jurgen Schedler in 2001 in Dorset. 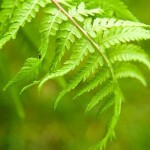 The nursery specialises in ferns, tree ferns, palms, bamboos and hardy exotics. 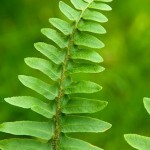 According to Jurgen, “ferns are loved by some gardeners, loathed by others. And many people just ignore them and think that they are dull plants for damp dark corners. 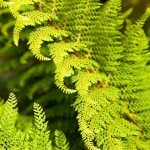 Now gardeners are becoming interested in ferns again and the wheel has turned full circle. 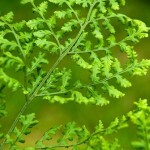 The Victorians loved ferns and created ferneries both large and small”. Jurgen is passionate about these fascinating plants and uses them in his tiny garden, homage to the pleasures of foliage plants, their variety and beauty, as well as the range of colours, textures and shapes offered by their leaves. He shows how ferns can be grown in hanging baskets set in trees, and how carnivorous plants can be grown outside, by a small stream for instance. 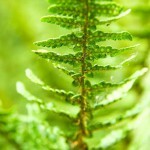 An inspiration to any adventurous gardener with a small garden. This entry was posted in My favourite on August 25, 2016 by gapadmin. 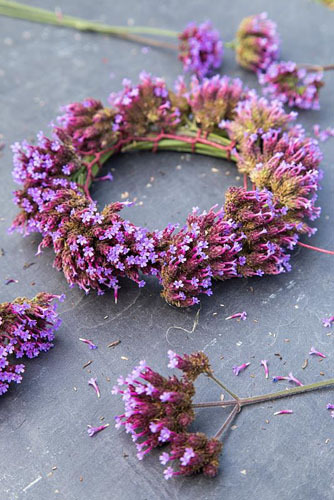 A stunning and colourful wreath for inside or out made using freshly cut Verbena bonariensis. This popular perennial produces an abundance tiny clusters of purple flowers that keep going all summer long. You can make this simple but effective decorative wreath very easily by making use of the long stems of this plant. This entry was posted in Garden craft on August 22, 2016 by gapadmin.